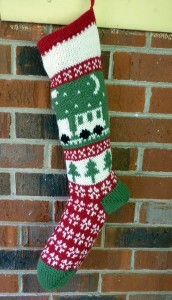 I gathered a lot of interest when I posted pictures of the stockings I made for my small family. One of those interested was a cousin of mine, Sandra. 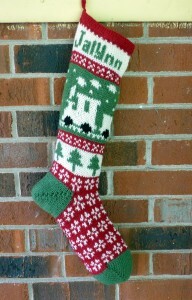 She wanted a stocking for her grandson, Jalynn. We talked about ideas, I showed her the patterns I already had, but made sure she knew I was flexible and willing to try others. She mentioned that he was very into trains and airplanes and the gears started turning in my brain. I had the chance to work on an idea during a car ride to my in-laws one weekend. I spent the entire two-hour ride poking around in a spreadsheet on my tablet, changing the colors of cells. 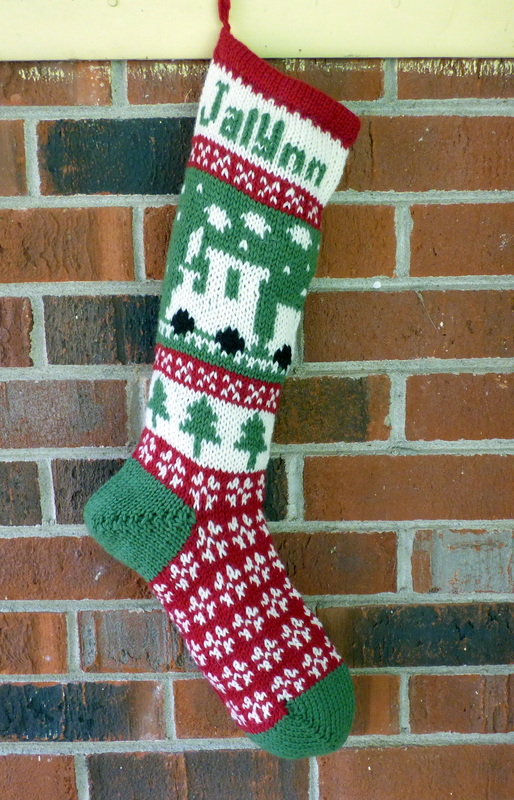 I am so pleased with how it turned out! I’m pretty sure I’ll change the design a little more, and since I have another customer who wants a train stocking, I will have a chance to try a different idea.